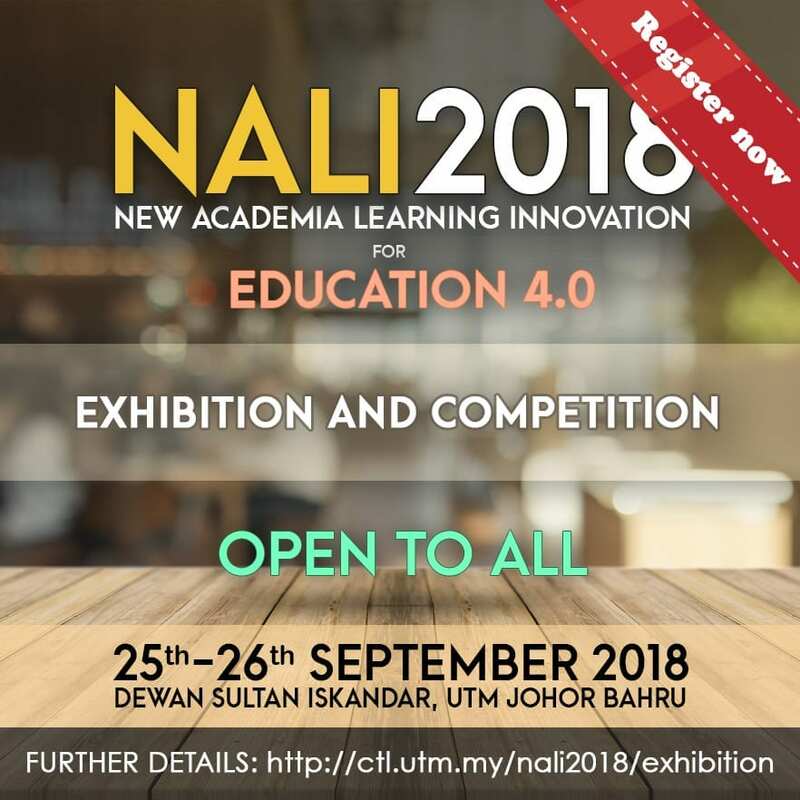 CTL, UTMLead is pleased to bring to you the NEW ACADEMIA LEARNING INNOVATION (NALI) EXHIBITION AND COMPETITION 2018. NALI EXHIBITION AND COMPETITION 2018 will provide a great opportunity for the participants to showcase project, product or practices on NALI. Event categories: Competition, Exhibition, Students, and UTM Calendar.